Recently, Melanie Kirkpatrick wrote an outstanding book on the history of Thanksgiving in America that examines our country’s Thanksgiving experience over the last four centuries. 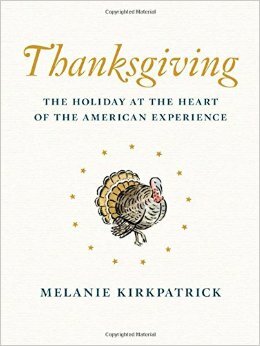 Thanksgiving: The Holiday at the Heart of the American Experience reminds us that those of us in the United States give thanks this holiday for the many things that make our country one of unparalleled freedom, bountiful opportunity, and relative comfort despite challenges all along the way. To enjoy these same blessings that most of us take for granted, about a million people continue to immigrate to America each year with many more waiting in line. In that vein, possession of well-protected human rights is not one of those blessings that we normally acknowledge with any specificity at the Thanksgiving table. However, for many in the world, there is a longing desire to be in a position where they could give thanks. Nowhere is that more true than in North Korea. Both sides of the Korean Demilitarized Zone (DMZ) celebrate Thanksgiving where thanks are given in autumn for a bountiful harvest and blessings possessed. For South Koreans, they celebrated the Korean Thanksgiving called “Chuseok,” on September 15th in 2016. The holiday is always on the 15th day of the 8th month of the lunar calendar. Therefore, it slightly differs each year from the Gregorian (international standard) calendar. The holiday goes back to the Silla dynasty more than 1200 years ago. Originally called “hangawi” or “the great middle of autumn,” the holiday celebrates the autumn harvest, which is parallel to the American Thanksgiving celebrating harvest. A central tradition of “Chuseok” is the “charye,” where Koreans prepare a table of traditional foods and honor previous generations of their ancestors, frequently visiting their graves. These days, South Koreans increasingly observe a morning celebration in their homes, where traditional foods are laid out as symbolic representation of thanks to their ancestors. Image of the "Chuseok" table. Photo Credit: Namwon030 (Own work) [CC BY-SA 3.0 (http://creativecommons.org/licenses/by-sa/3.0)], via Wikimedia Commons. Above the DMZ, North Koreans celebrate Korean Thanksgiving in a very different manner and give thanks for blessings possessed in a vastly different dynamic than their South Korean counterparts. 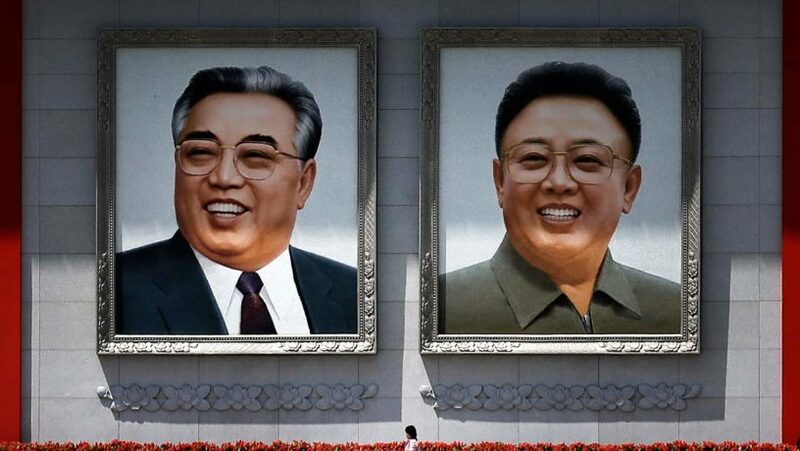 In the Democratic People’s Republic of Korea, North Koreans officially celebrate “Chuseok” by praising and memorializing the Kim Family—Kim Il-sung, Kim Jong-il, Kim Jong-un, as well as Kim Il-sung’s parents and grandparents. In reality, North Koreans have little for which they can be thankful. South Koreans have many things for which to count their blessings: being the world’s 15th largest economy and the observance of their civil rights, including freedom of expression, freedom of association, freedom to elect one’s representatives, and freedom to protest peacefully. South Korea has fully developed democratic institutions that enable celebrations to be as the people wish. In sharp contrast, the 25 million North Koreans’ GDP per capita is ranked 197th at the bottom on the world scale. 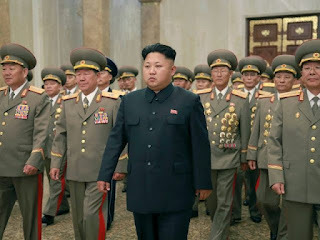 The national economy is deliberately designed by the Kim regime to not focus on food security for the people, but rather, focus on nuclear weapons, ballistic missiles, the military in general, and, most importantly, anything that supports regime survival. On top of that, the Kim Regime prioritizes the nearly 3 million citizens of Pyongyang over all other North Korean population sectors in terms of food security and a host of other privileges. This leaves the remaining 22 million citizens to fend for themselves in an economy where personal food security efforts for all but the ruling class are based in limited, but sanctioned individual market booths, small 10m by 10m agricultural plots, and black market activity. The Kim regime’s highly politicized focus on cult-like worship of the Kim Family leaves little for the North Korean to celebrate. The deliberate denial of Korean traditions accentuates the Kim Regime’s complete denial of human rights. Brutality and Thanksgiving are two words that are normally not associated with each other. Unfortunately, in the case of North Korea and its human rights record, these two words are both regrettably appropriate. 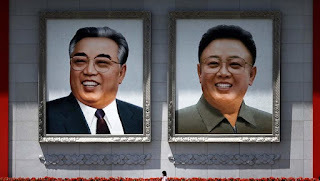 North Koreans cannot count sufficient food, competent healthcare, or adequate housing among their blessings. They cannot be thankful for protection under the law, comfort in religion, or freedom of choice. Their lives are filled with restrictions, limitations, and political terror. They can expect nothing from their government or leaders and instead, only rely upon themselves and, on occasion, their families—if the Party-state hasn’t invaded that as well. The attempt by the internal security services to subvert family relations for the sake of ensuring political reliability through reporting is deplorable. The Kim regime’s oppressive rule and brutal treatment of its own people is unparalleled today. The North Korean regime’s policy of human rights denial suppresses even the freedom to give proper thanks on Chuseok/Thanksgiving. For us and our friends, allies, and partners in South Korea, this is one additional reason to give thanks to our forebears for being blessed to live in a democracy, and for the freedom to vote, assemble, debate, and demonstrate to ensure that our democracies remain vibrant and resilient. Perhaps most importantly, the holiday gives us pause to appreciate family and bountiful sustenance, two of the essential elements of thanks on this holiday. Great article and reminder be thankful for so much that can easily be taken for granted. God bless the people of North Korea as you have blessed those in South Korea and around the world.